Please note that we require 48 hours of notice for any cancellation or rebooking appointments. Otherwise a $50 cancellation charge will be applied. 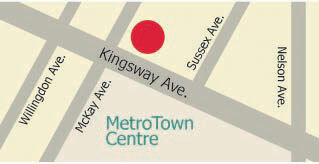 Parking lot is located at the back of Metropoint Building at Hazel St.